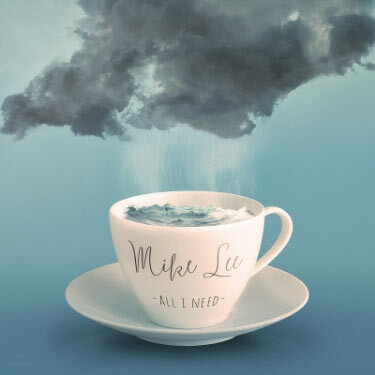 (FORT WAYNE, IN) -- Just a year after releasing his critically heralded national debut Awakening Hearts, worship artist Mike Lee returns June 16th with his brand new studio release, All I Need. Produced by Cody Norris, Scott Cash and Ed Cash (whose Dove Award-winning collaborations include Chris Tomlin, David Crowder and Kari Jobe), the new EP is a more stripped-down collection than his band-driven debut, providing a glimpse into his artistic, personal and spiritual growth. All I Need captures a tumultuous time for Lee, who spent the last year balancing touring and leading worship at his home church in Fort Wayne, Indiana with his job as a mixed martial arts trainer, in addition to newfound fatherhood and a life-changing diagnosis for his own father. Lee’s wife was also pregnant with their second son. Balancing work, music, an ailing father and a baby to be, the simple but poignant chorus of “All I Need Is You” sung straight to the Lord provided both the peace he so desperately needed and became the catalyst for his upcoming EP. As Lee prepares for the release of the songs that were born from a year of trials, he finds himself with a plethora of things to celebrate, from overwhelmingly supportive friends and fans on Kickstarter who successfully backed the upcoming EP, to the re-diagnosis of his dad down to stage three cancer, to a healthy new addition to the family. Now eight months old, baby Stetson joins three year-old big brother Preston, both of whom join Lee and his wife Michelle on the road. And the road is where they’re headed, as Lee will be joining the Creation Festival Tour this spring and summer, performing before 100,000 Christian music fans. Lee has previously shared stages with the likes of Sidewalk Prophets, Audrey Assad, Love and the Outcome, Leeland and The Digital Age, amongst others. Lee will be juggling the touring with his other passion - a mixed martial arts gym he co-owns with his brothers aptly named Lee Brothers Submission Academy. For more information, visit the official website at www.mikeleemusic.com.